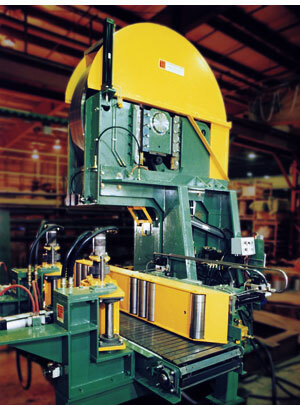 Resaws are the efficient production center of most sawmills. Whether you're looking for a vertical linebar, horizontal, slant, or multiple saw system, TS has the experience and capability to ensure a smooth flowing and low maintenance resaw. Matching our class leading lumber handling capability with our precision bandsaws provides us the flexibility to provide the system you require for long term productivity and efficiency. 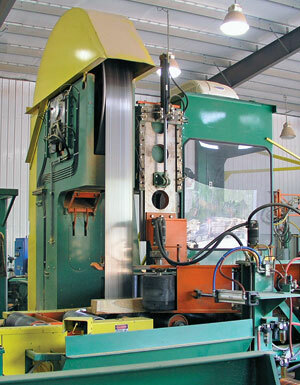 Whether it's a simple infeed or fully automatic, feeding from both sides complete with pre-grading system, TS has the combination of machinery and experience to provide you with the most efficient system possible. 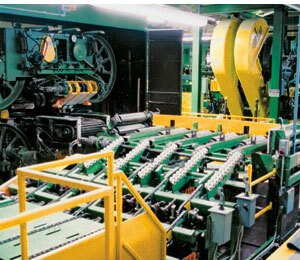 Outfeeds range from the conventional jump chain and splitter outfeed, to double length, Quad Resaw Tailing Systems, with three separate discharge routings (from a single pass).